Come join us at Sky Camp for our 6th annual Regional Jam! Four days to dive into practice and play. 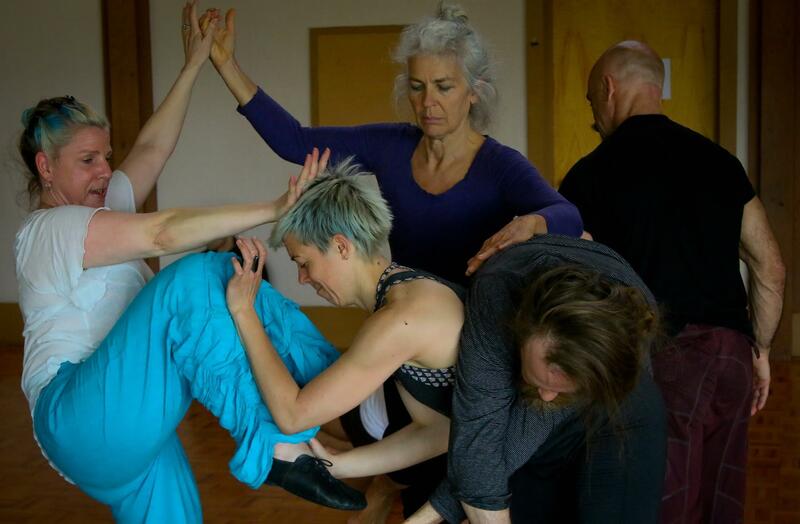 Inviting 44 dancers from Portland and 44 dancers from everywhere else. 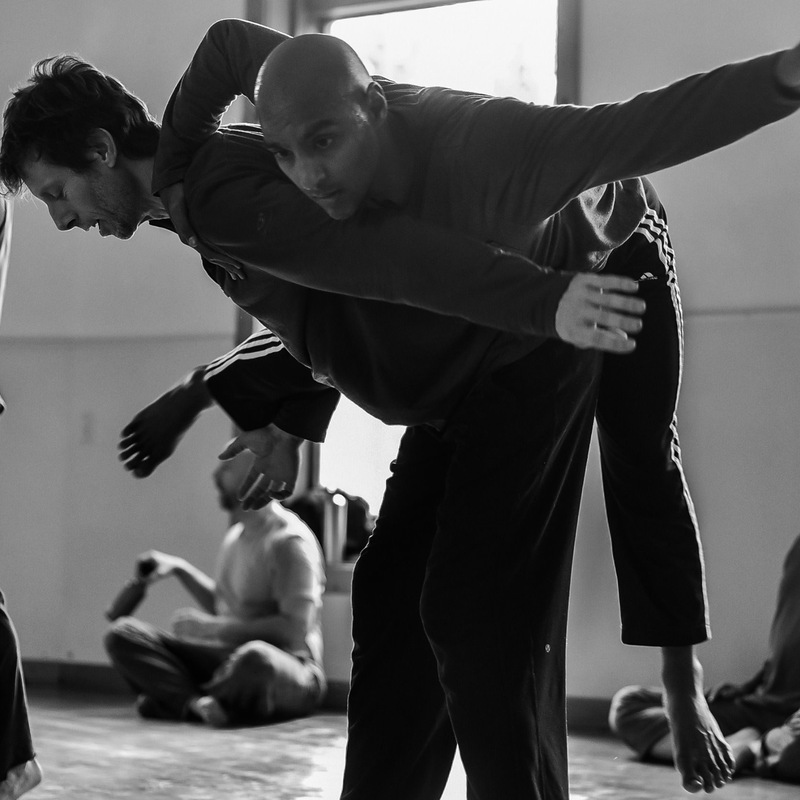 Paul Singh is teaching this year! Early bird rates $330-$230 sliding scale. After April 1st add $50. 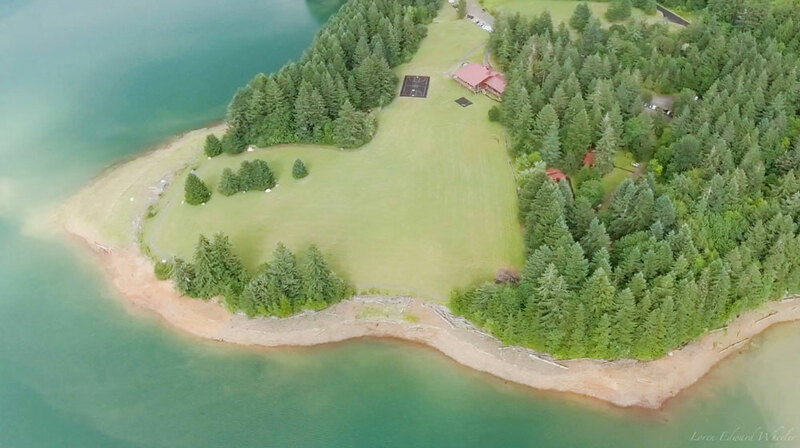 Sky Camp is on 100 acres and has a gorgeous large meeting room with a great floor and a wall of windows overlooking a lake. If you’re coming from afar you can fly into Portland or Eugene and we’ll help you carpool from there. 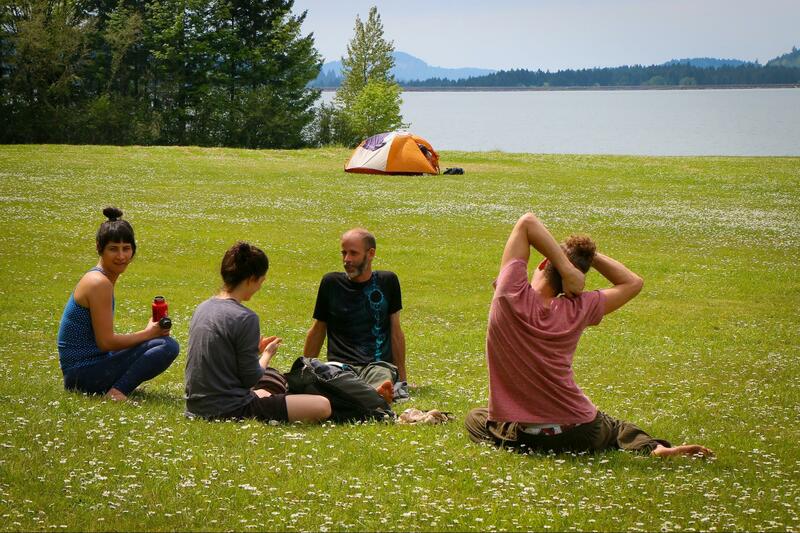 Sky Camp has dorms (BYO bedding); sleeping in your own tent or RV is also an option. We sold out completely last year, so sign up early. 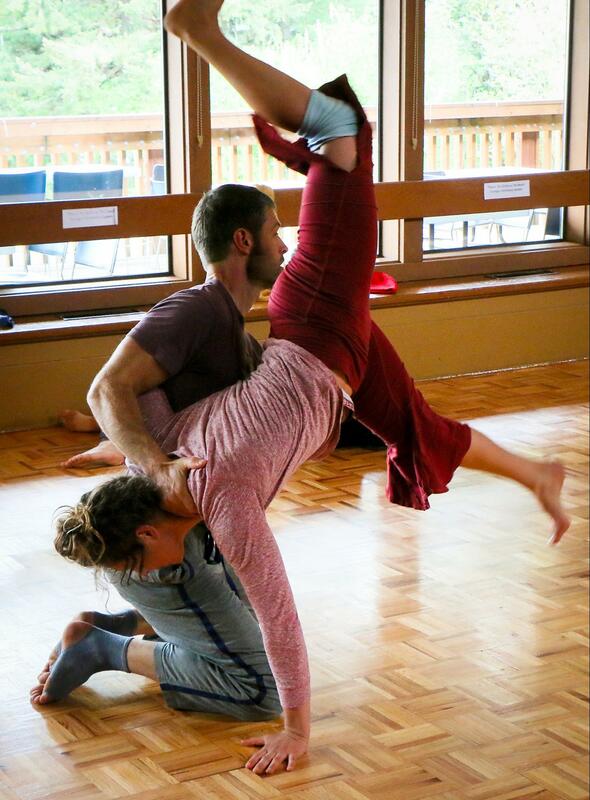 Contacters with all levels of experience, all bodies, all abilities are welcome! This event relies on volunteer efforts! One way we keep the jam affordable is to ask that everyone pitch in and do 1-2 hours of work over the weekend. Work shifts are fun and also build community. Chopping veggies, kitchen clean up, sweeping, tidying up, etc. There will be a sign-up sheet when you arrive at the jam. Most of us already have a basic functional understanding of our contralateral and homo-lateral human condition: we walk, we pick things up off the floor, we right ourselves when we trip. 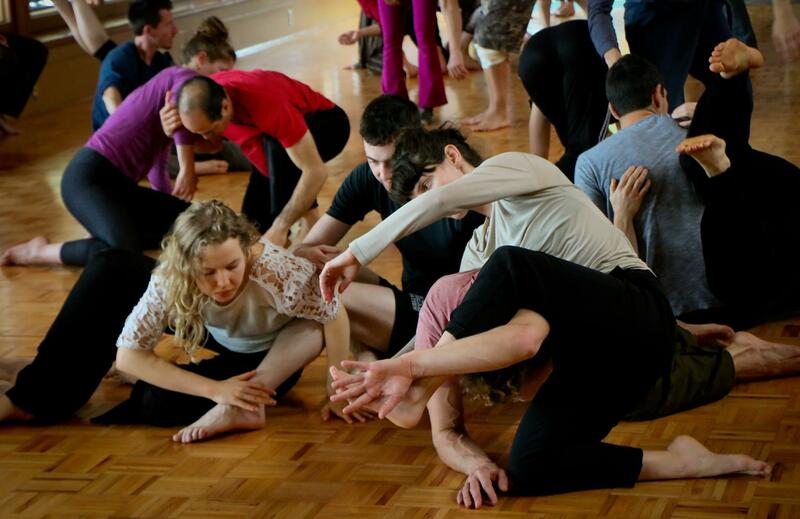 What makes Contact Improvisation special is the opportunity to work with disorientation: considering your feet to be your hands, your legs to be your arms, and your back to be an extension of your eyes. 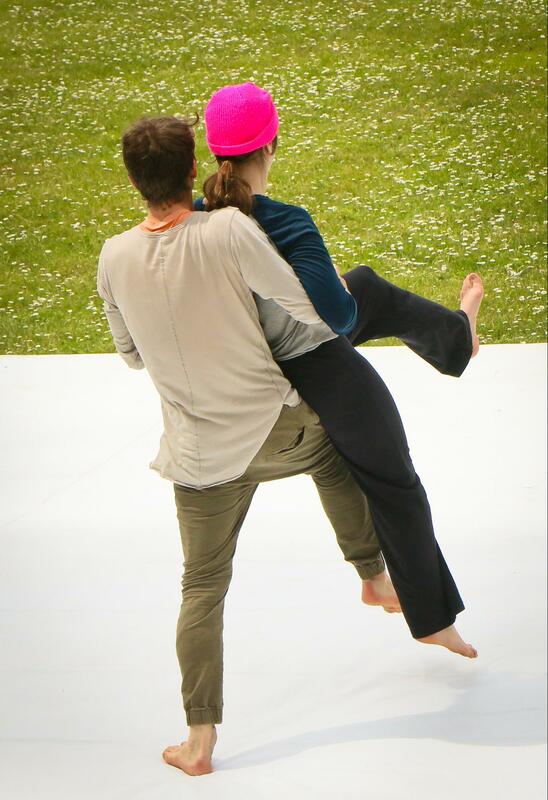 To get to this level of fully integrated physical desire and curiosity, we will work with major concepts like pouring weight, shifting attention, eye contact and listening in order to help us get lost together so that our partners become our new kinesphere. We will spread the surface area of our feet and hands to demystify the term “being grounded.” We will scramble our brains with mind-reading exercises. 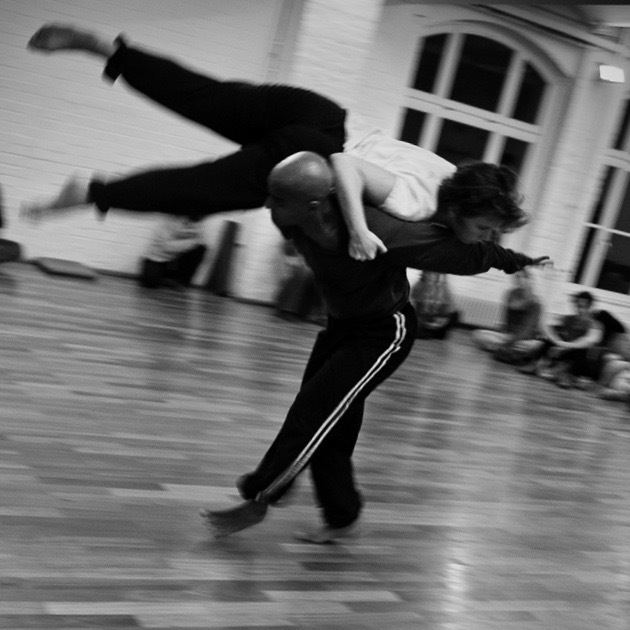 We will learn to use all surfaces of the body in order to become trustworthy under-dancers and limitless flyers. 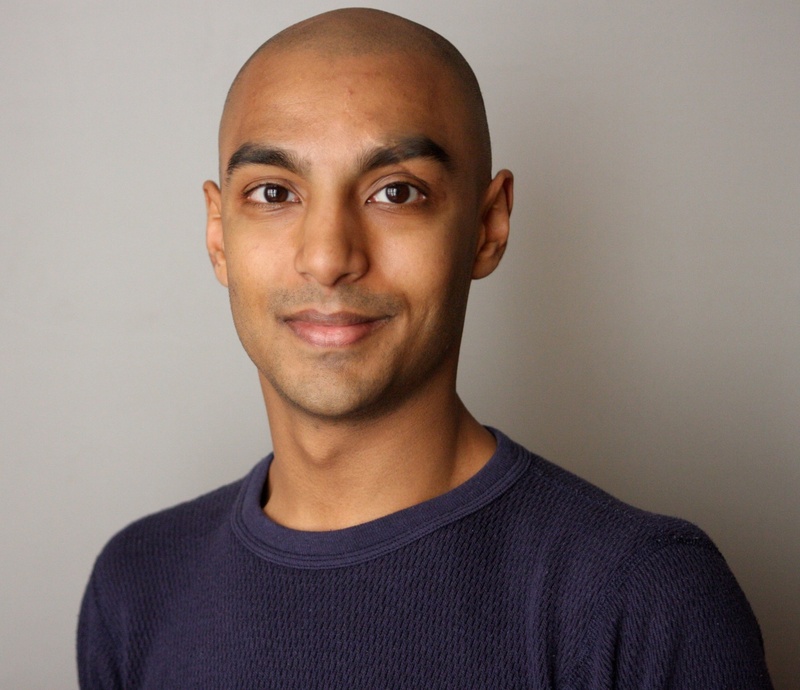 Paul Singh is a dancer who lives and works in New York City. 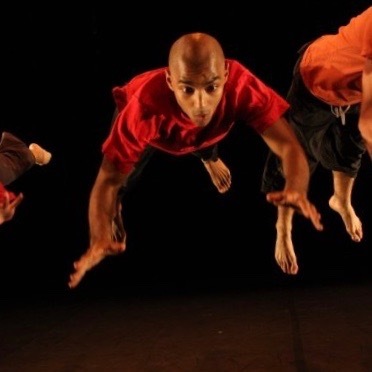 He earned his BFA degree in Dance from the University of Illinois, where he focused on a variety of dance techniques including Alexander Technique, Ballet, Modern, and Contact Improvisation. He began his studies in CI with Chris Aiken and since then has studied with Angela Dony, Yaniv Mintzer, Ray Chung and others. He has traveled the world to CI festivals in Israel, Russia, India, Spain, Germany, Finland, Canada, etc. 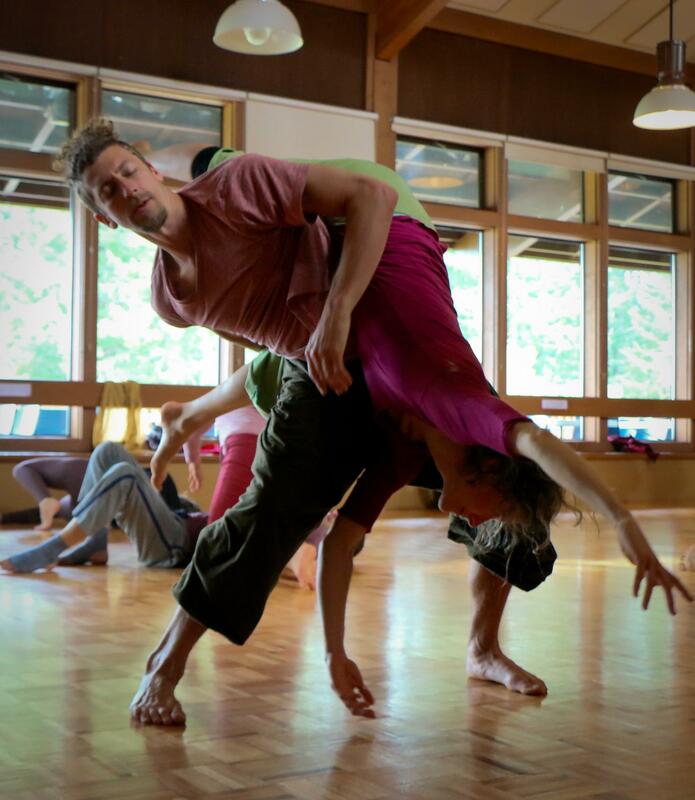 He has led intensives at many of these contact gatherings as well as assisted others in teaching fundamentals of falling, flying, failing and laughing. 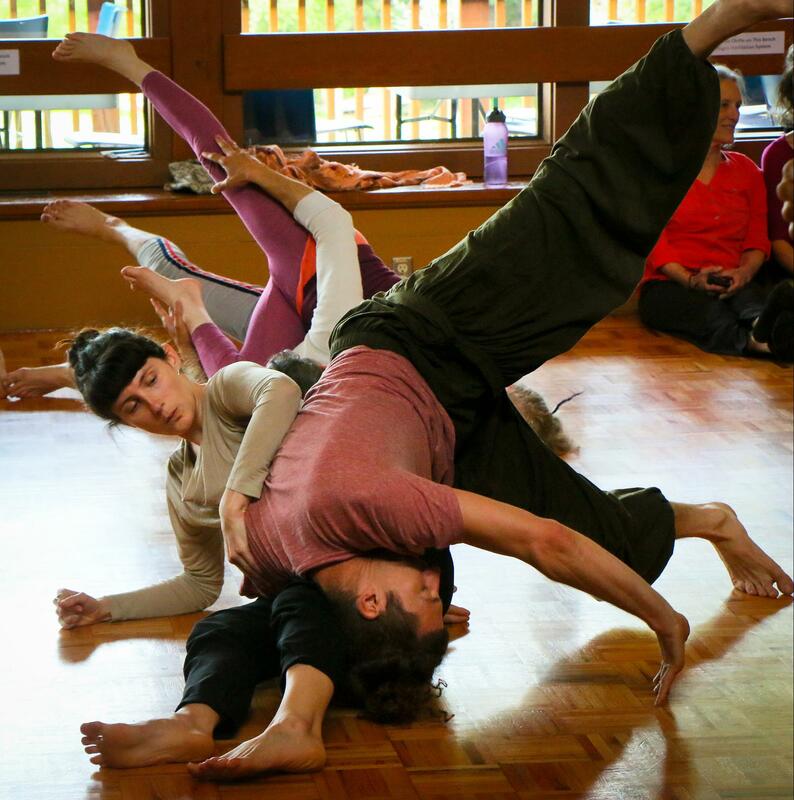 As a student and teacher, he uses his understanding of Bartenieff Fundamentals as well as his innate sense of spatial awareness to explore more deeply the ideas of being grounded, becoming softer, and forgetting the difference between up and down. 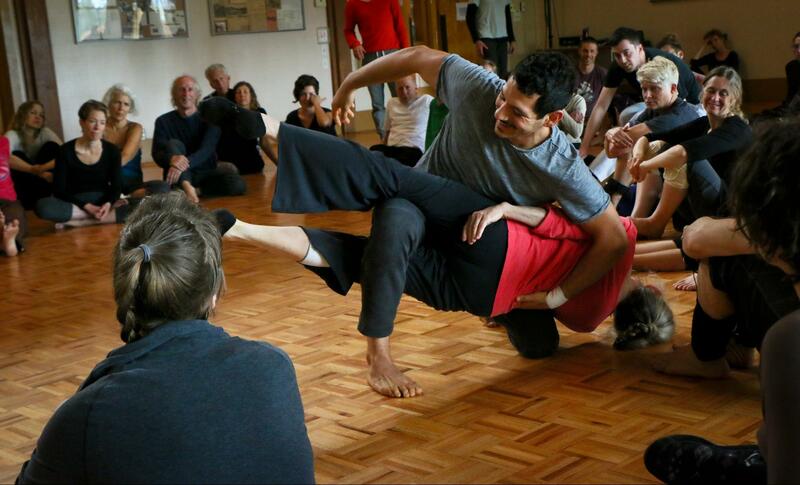 He is currently on faculty at The Juilliard School, Sarah Lawrence College, and Movement Research in NYC. He specializes in Contemporary Partnering, Floor Work, and CI. 2:30 Circle… We’re all here now! Sliding Scale: more info on the Registration page. $330/380 I am comfortably able to meet all my basic needs, including food, shelter, and transportation. Volunteer shifts: One way we keep the jam affordable is asking all participants to sign up for 1-2 hours of chores over the weekend. There will be a sign up sheet when you arrive. No partial or shared registrations. If you need to come a day late or leave a day early, that’s ok… we will miss you, but there is no discount on the ticket price. 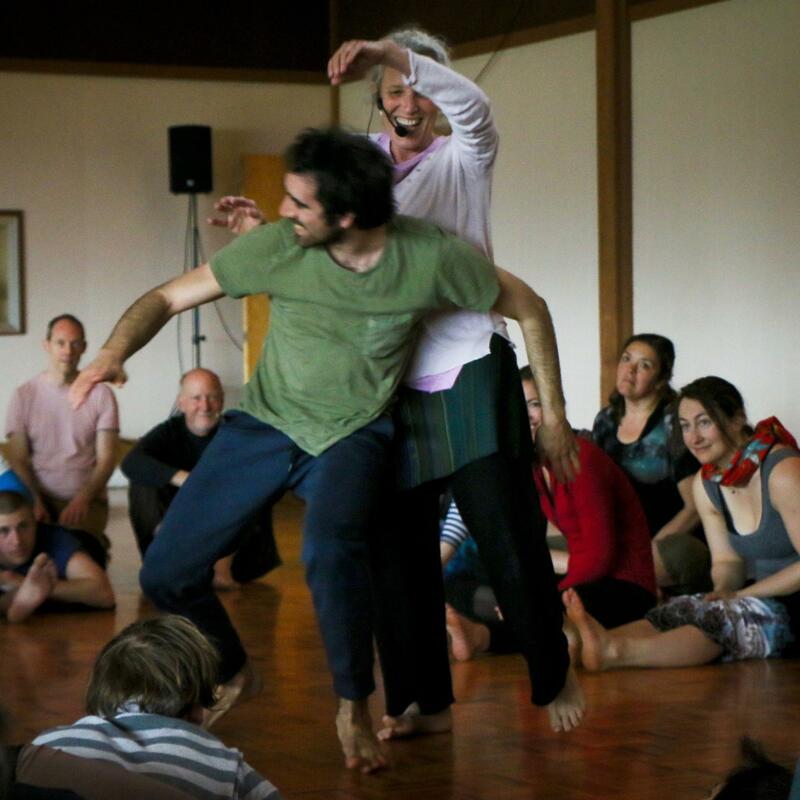 The intention is that we start together and end together and immerse ourselves in community and in practice. Before April 3 you get 75% back. Between April 3 and April 26, you get 50% back. No Refunds after April 26. Tickets are not transferable. Sky Camp is on 100 acres in Fall creek, Oregon, not far from Eugene. The meeting hall, our dance space, has a fabulous floor. It’s a massive room with a fireplace at one end and wall of windows overlooking a lake. There’s a deck and lawn for alternative dance spaces. The lake is clean and swimmable. Bring a swimsuit! Map and directions. 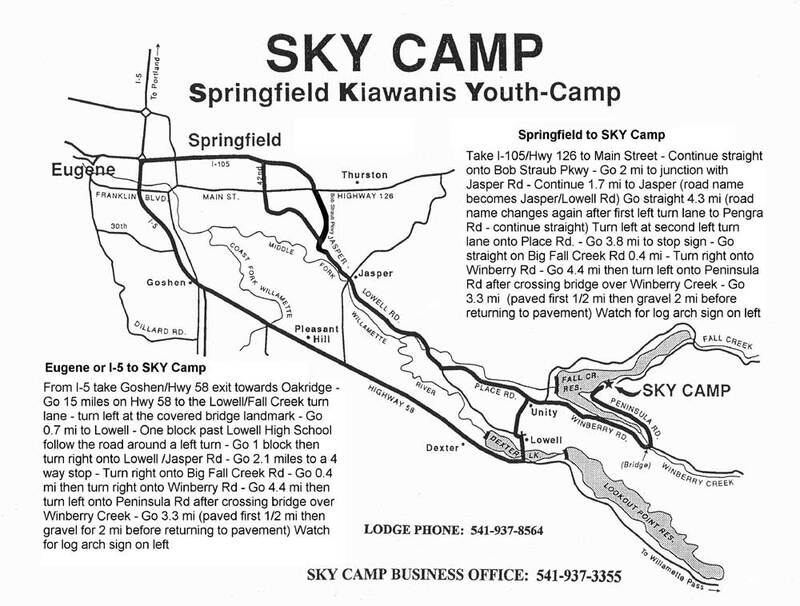 Sky Camp is a B.Y.O. camp… bring your own sleeping bags, pillows, bedding, towels, etc. There are several dorms, that sleep 6 per room. There are two dorms (one sleeps 20, the other 24) that have their own restrooms and showers. The other dorms do not. There is a separate “group use” restroom/shower facility for the dorms not equipped with restrooms and for people bringing tents or RVs. Camping in your own tent is a lovely option, as is sleeping in your van or RV. Again, there are showers and toilets available for all! The dorms with shower and restrooms will be offered on first come, first served basis. All meals are included in the weekend… see the schedule for timing. I’m so grateful to have Lizzie Rojos as our chef. She’s a fellow contacter, has a wealth of experience cooking for jams and festivals, and her food is simple, healthy, and delicious! Meals will be organic and gluten/dairy/soy free. Either lunch or dinner will have separate portions of meat and there will be vegetarian options as well. Volunteers and work exchange folk will help with food prep and clean up. We’ll also have coffee, tea, and a variety of organic healthy snacks throughout the weekend. To Bee Tsuchen, Brandon Stewart, Tom Maxwell, Paul Singh, Kevin C. Hicks, and others, for brainstorming with me and adding their wisdom and knowledge to the planning of this jam. To Peter Paul Rubens for most of the photos on this site (to view more photos from 2018 jam: Click Here) and Loren Wheeler for site photo and the fabulous video. To Aaron Podbelski for building this website. To all who show up at these jams… for your inspiration and feedback and love! One of the ways we keep the jam affordable is asking everyone to pitch in with chores. There will be a chore sign up sheet when you arrive and register. Many hands make light work, and working together is connecting! Please be ready to offer 1-2 hours over the weekend to help all go smoothly. Chores will include helping in the kitchen, sweeping, cleaning, straightening, etc, etc. Let me know if you have special skills you would like to share! If you would like to come early for set up or stay at the end for final clean up, please let me know. Thank you thank you thank you!